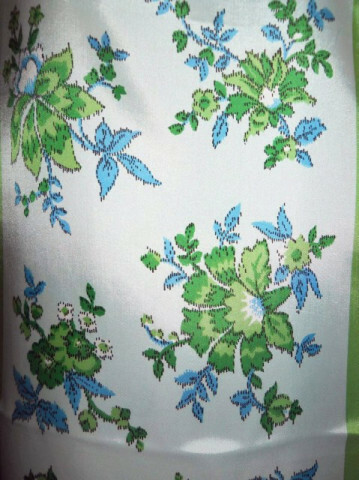 Esarfa vintage din matase artificiala (acetat), print floral verde si albastru stil tapiserie. Tivita manual. Cu eticheta. Masuri: lungime - 112, latime - 33. Dimensiuni medii. 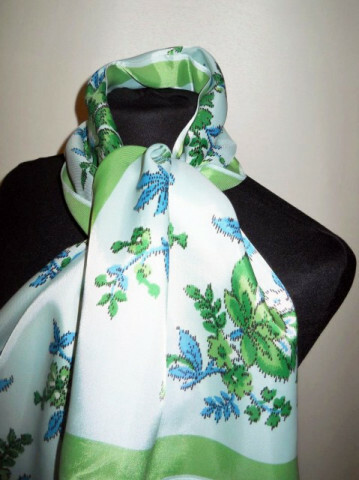 Despre: "That it is a registered trademark first applied for in 1939, specializing in Ladies Scarfs and Handkerchiefs owned by Honey Fashions, Ltd. Glensder Textile Co. In 1948, if I remember correctly they switched to the Duck in the rain logo or at least trademarked it for use beginning around 48 or 49. They produced accessories such as beaded collars via Japan and scarf pins as well. 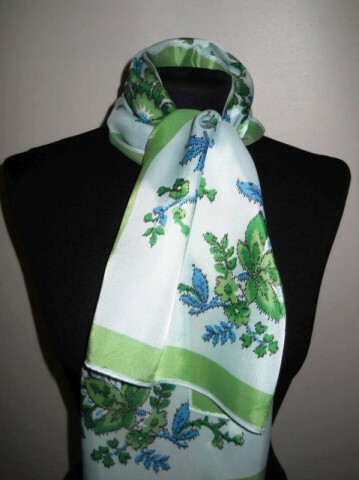 Many scarves were also made in Japan by the company of various fabrics including silk. 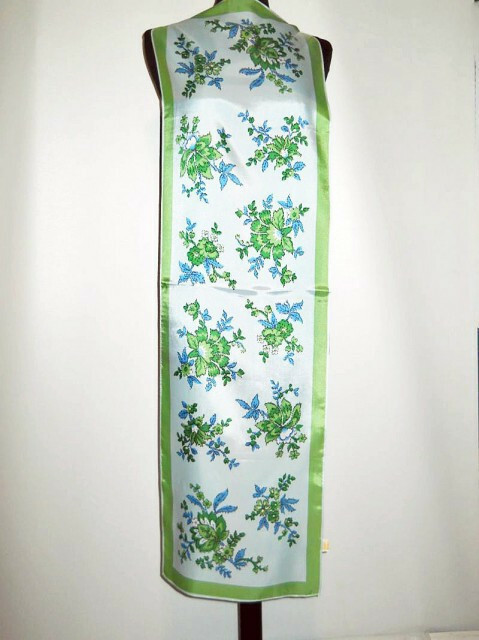 Glentex was well popular through the 50s and famous as a brand working with Schiaparelli and other designers such as Gloria Vanderbilt by the 60s-70s. 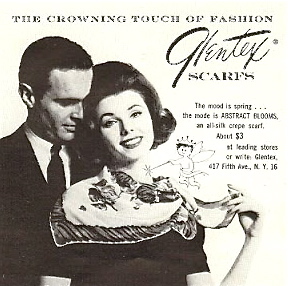 Glentex tags on collars and scarfs during the 50s are very similar Glentex italic script as seen in the above ad with made in Japan below often on collars. 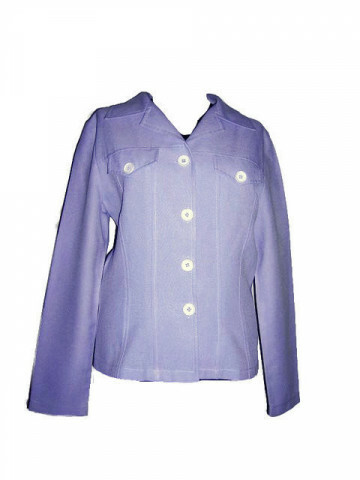 I have also seen some made in India for Glentex. Simple white background and yellow lettering. A similar tag is used in the 60s -look at the script on the ad below. Below I have also included a 50s-60s label example closeup from a pearl beaded collar. Closeup. Sarara Vintage. 1950s Collar beaded Japanese tag for Glentex. Sarara Vintage cropped closeup of 50s-60s Glentex Trademark in ad.